We had a delicious and wonderful Thanksgiving dinner yesterday but I didn't really take the time to really think about what I was thankful for this year. Now that the eating and shopping are done I decided to write about what I was most thankful for and that was the miracle our family experienced this last few weeks. 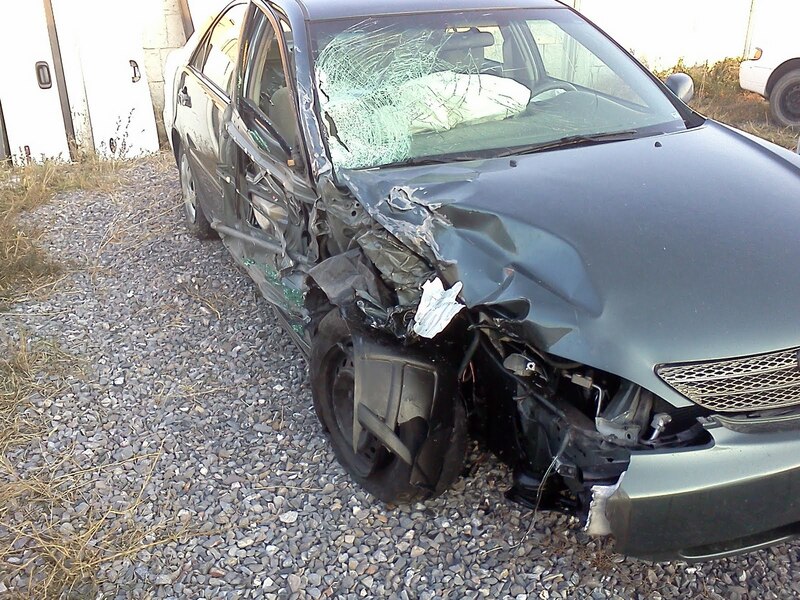 Dave was in a head on collision at the beginning of this month on the way to work. It was the scariest thing that either Dave and I experienced but we have SO many things to be thankful for. Dave wasn't hurt except for some bruises and a sore shoulder. I'm so thankful for Dave's amazing driving abilities. He was completely aware and was able to save himself by pulling back into traffic so the lady hit more his passenger side than him. (the other driver passed out going 50mph and has no recollection of the accident or how she traveled across all the lanes of traffic to oncoming traffic). I'm so thankful that my best friend was immediatly behind Dave when the accident happened and she was the one who called me to tell me about it. 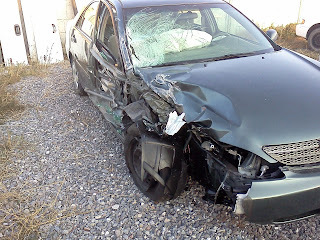 I'm thankful that the other driver was only in the hospital for a day. I'm thankful that we finally have a new car and that things went so smoothly with that! We took a few pictures of the car after the accident. Here they are for those who haven't seen them yet. This is taken at the junk yard when we were getting out all of our stuff. 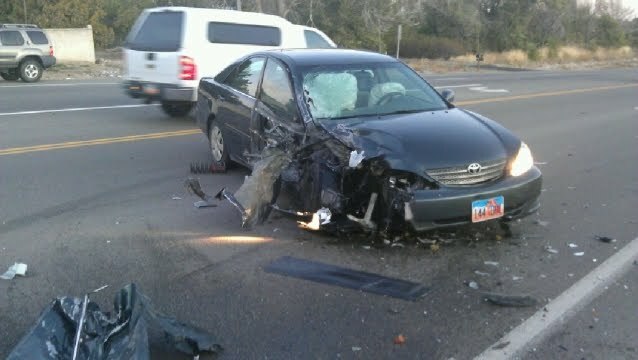 This is taken at the accident. 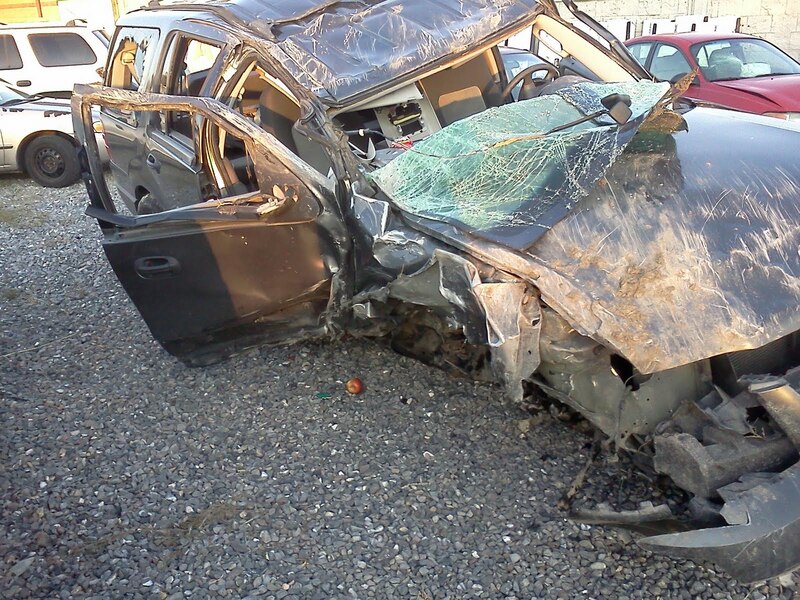 This is the other lady's car at the junk yard. My next door neighbor had her sister-in-law come over and do face painting at her daughter's birthday party. She is pretty much a professional and the kids loved it. Meeting Mickey at his house. Camille meeting Minnie while wearing her Minnie shirt. She was so excited. Proof that we were there over Halloween. This picture is for Grandma Tootsie. The sign above the door says Beverly. Camille's favorite ride was Winnie the Pooh and she was super excited to meet him. Probably more than the princesses. Andrew and his strong face. I wanted a picture of our family out here but I never had it happen. I was happy to see that Dave remember and shot one of the kids while I was getting the car on our last night. Andrew as a police man, again. He got real metal handcuffs if he wore the costume again. He was in and loves his handcuffs. Camille as a bumble bee. I made the costume and I think it turned out pretty cute. And of course our traditional family picture in front of the house!